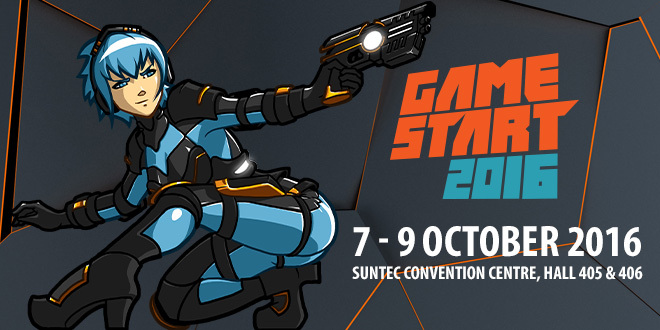 Following the success of its first two installments, GameStart Asia will be returning for its third edition from 7 to 9 October, 2016 at Suntec City Convention Centre Hall 405 and 406. Over 17,000 visitors from Singapore and the region attended the event in 2015, and this year will see the return of favourites as well as new and exciting content for gamers of all tastes, including showcases and previews, eSports, indie games, retro gaming, cosplay and more. Regular updates will be available at www.gamestart.asia/gamestart-2016 and www.facebook.com/gamestart.asia, and more announcements will be made in the coming months. Asia GameStart is Southeast Asia’s premier gaming convention. Organised by industry veterans who are themselves gamers, GameStart seeks to bring the biggest and latest titles, eSports tournaments, meet the-producer sessions, expert panels and everything gaming-related to audiences in Asia. The event also incorporates Founders Base, which aims to help promote independent studios and developers from Singapore and the region.